I simply love the idea of sneaking vegetables into popsicles. 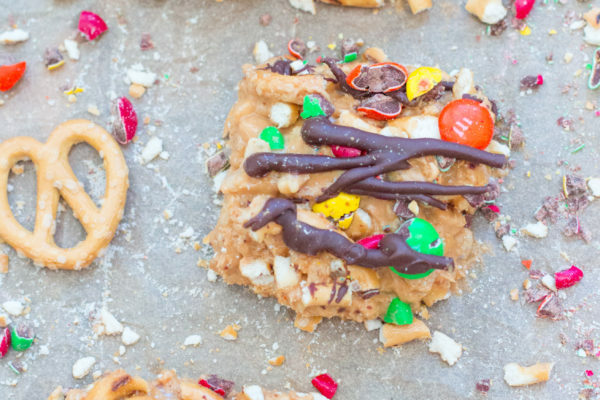 The idea of exploring veggies in a whole new way is sorta what this blog is about, right? 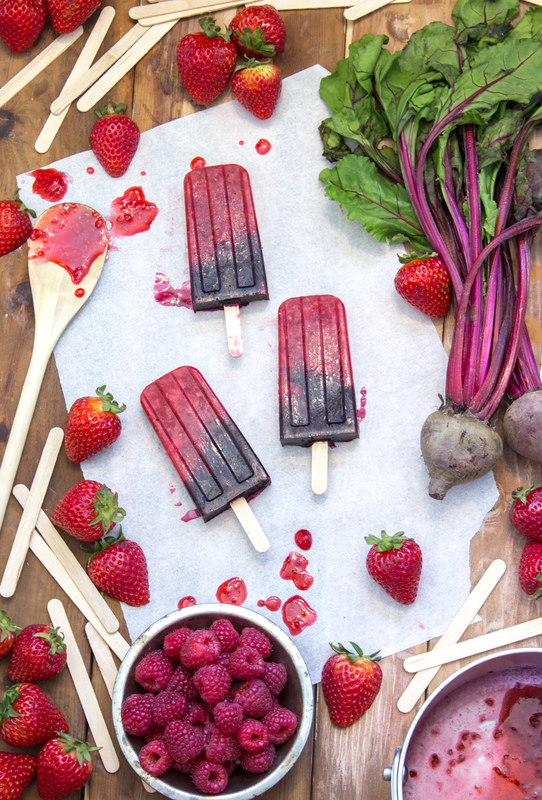 So a Beets & Berries Popsicle is of no surprise, especially if you’ve had my Salted Celery Popsicle. Yum! It goes without saying, but I am going to say it anyway: tasty popsicles start with tasty ingredients. While it might seem like a good idea to “use up” fruits and veggies in this fashion, it actually isn’t. 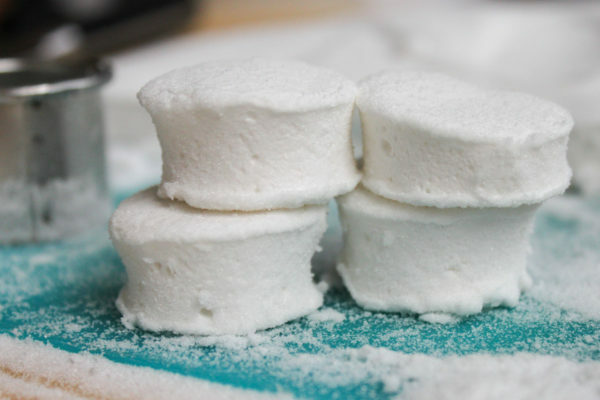 Frozen items usually lose some of their flavor as a result of being frozen, so it’s best to use the best stuff you have. 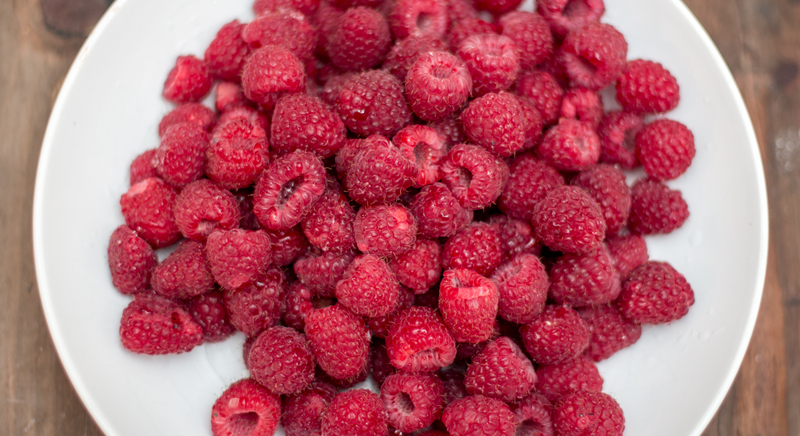 Check out these gorgeous raspberries from the farmers market. Yum! Now let’s create our berry compote. 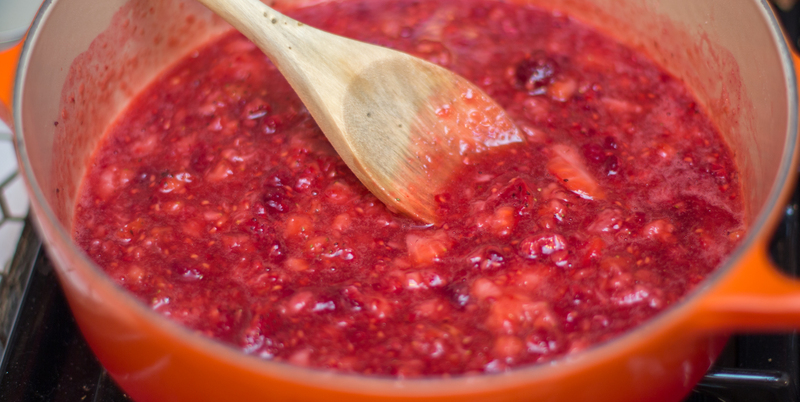 Combine the 1 pound of strawberries, 4 ounces of raspberries and 6 tablespoons of the sugar into a small pot. Cook the berries over a medium-low heat, mashing them in the process, until the sugar is combined and the berries have released some of their juices. Remove the berries from the heat and add in 1 tablespoon of balsamic vinegar and a pinch of ground black pepper. 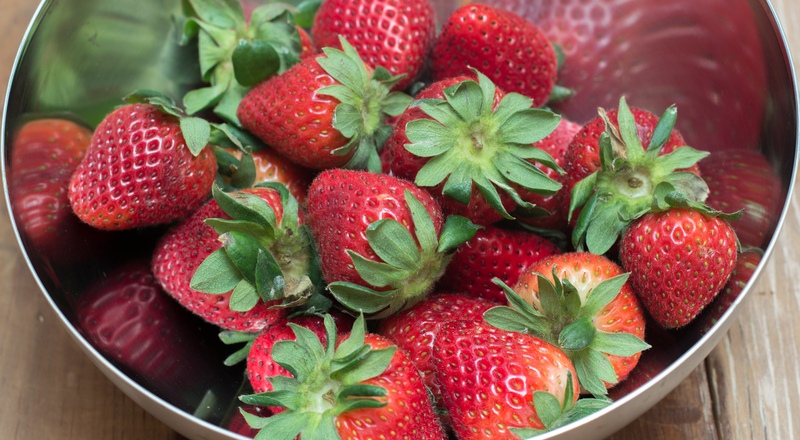 These savory ingredients will heighten the flavor of the berries, making them seem (oddly enough) sweeter. Let the mixture cool a bit, stir in 2 tablespoons of water, and then divide it amongst your popsicle mold, placing it in the freezer. This is how you get the two-tone effect. We are just going to let that firm up a bit while we make our beet juice. 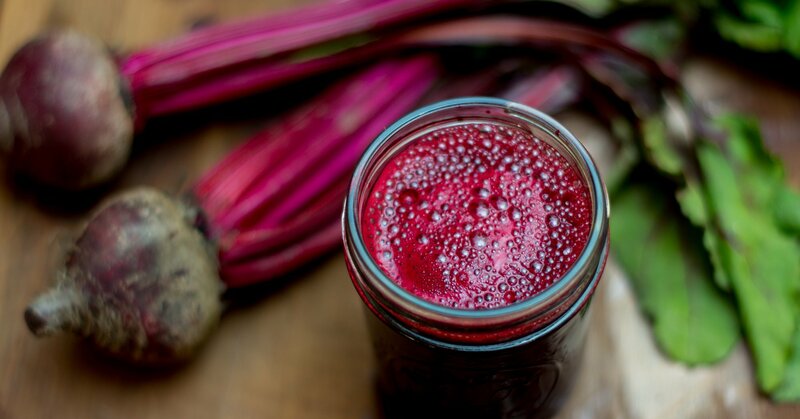 Go ahead and juice your beets. You’re going to want about 1 and 1/4 cup juice total. While 1.5 pounds of red beets might do the trick, it might not. You might need 2 or so depending on how juicy your beets are. There is no way to really judge this when buying them. Add the remaining sugar to the beet juice and then top off the popsicles. 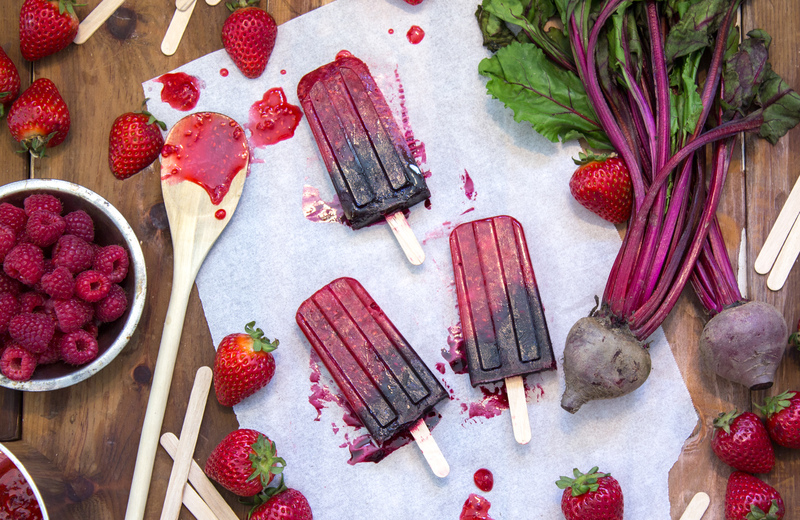 The beet juice will work its way into all the nooks and crannies, giving the pops a tie-dye effect, once you add in the popsicle sticks. Freeze the popsicles for at least 10 hours before serving. 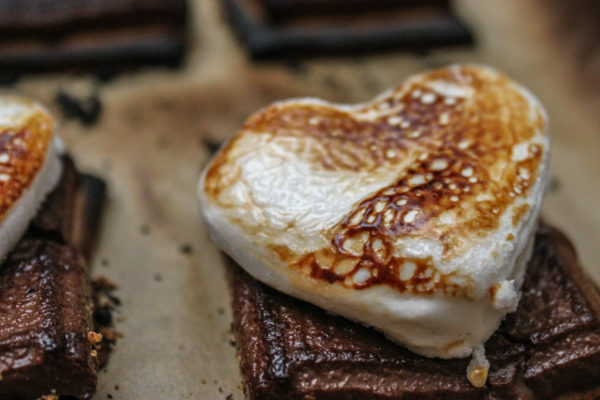 To remove the pops from the mold, submerge it in lukewarm water for just a few seconds.Enjoy!